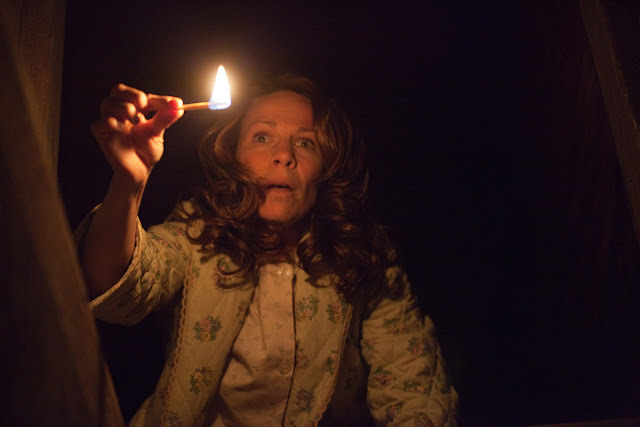 When I walked into the theater to see The Conjuring for the first time, the only thing that made me optimistic about the experience was the shocking critical acclaim it had received. Some people get really excited for every new horror film that is released. I don't. While many have fallen in love with franchises like Insidious or Paranormal Activity, I felt lukewarm on the original of each and couldn't even muster the motivation to watch the subsequent installments. Typically horror and I just don't click. Something clicked here though, and I knew it early. I could feel it as soon as the title of the film crept slowly onto the screen with the unnerving music blasting my senses, and while the rest of the picture certainly isn't perfect, it had a hold on me and it still hasn't let go. I scooped it up on Blu-ray as soon as I got the chance and watched it instantly at home, and the atmosphere crafted by James Wan actually made my skin crawl even more there than it did at the theater. Sitting alone in the middle of the night made the dark corners of the room feel darker and the creaks of the attic sound louder. When surrounded by an audience, it is hard for me to feel the intended sense of dread from a haunted house story. The irony is that it took being the only person in the room for me to feel like I was surrounded by something unpleasant. I know the goal of announcing that a film is "Based on a true story" is to escalate the authenticity of the scares, because if it really happened to someone then it could really happen to me, but honestly I find the "truth" of the story The Conjuring is based on to be irrelevant. I don't need to dig through the details to decide if the movie is scary, I feel it because of the accomplishments of the team that put this all together. The set pieces, the characters, the way Wan uses light (or lack there of) to deliver the terror rather than resorting to tropes like a cat jumping out of a closet or a ridiculous looking creature chasing people around. There is one scene in particular in which one of the daughters in the family says she sees something behind her bedroom door that is handled with absolute perfection. I kept waiting for it to be ruined, for the typical thing that I don't find scary to rear its ugly head, but it never happened. Instead I was left peering behind my own doors late at night wondering what could be looking right back at me. The spin-off film Annabelle was terrible and I believe they are making a sequel to The Conjuring as well, but who knows if the magic of this first film will ever be recaptured again. I may end up sitting down for number two with actual expectations and excitement and end up rolling my eyes at the silly, predictable horror movie playing out in front of me. It won't matter. 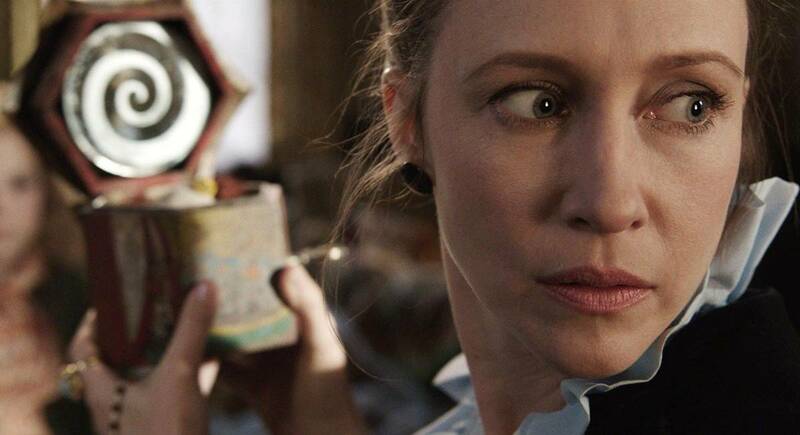 I will always have The Conjuring. Now who wants to play some hide and clap? Yeah I tend to agree with you Big Murr. It is rare for me to watch a film labeled "horror" as its main genre of focus and enjoy the experience.